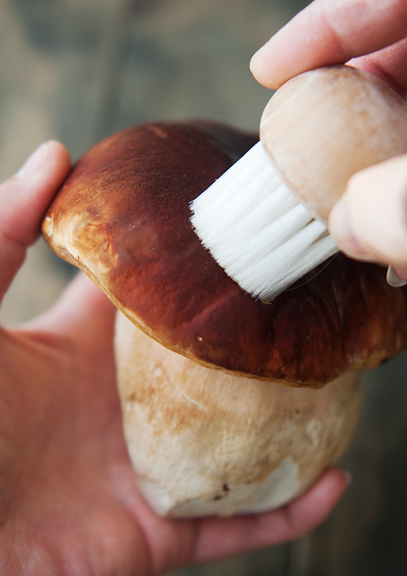 To prepare porcini, it’s best to use a mushroom brush or damp paper towel to remove any dirt and debris from the surfaces. I don’t like to wash mushrooms of any kind in water because they absorb the water, get slimy, and don’t cook properly. For the love of all things good and natural, please don’t wash porcini. If you’re lucky, the mushrooms will be free of the little white worms (freeloaders). 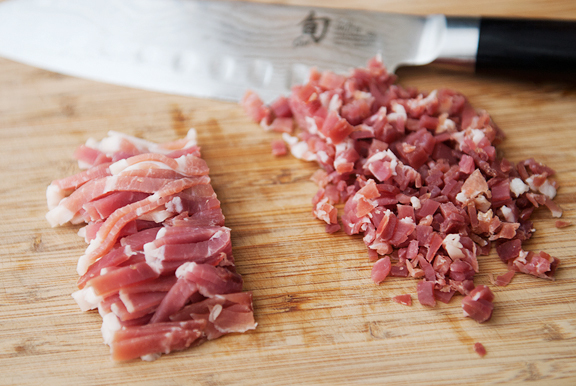 If you managed to bring dinner guests home with you, just cut them out with a knife or leave them in for extra protein. I prefer to cut them out. 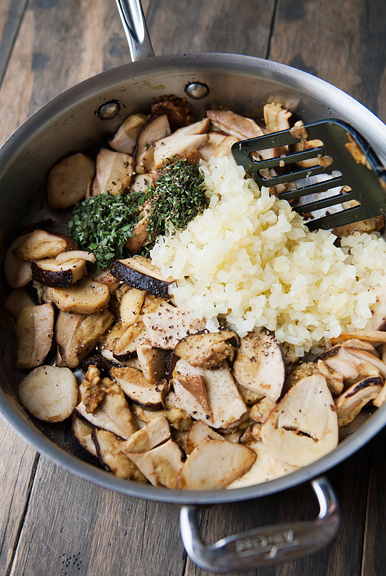 The worst thing you could do when preparing a dish with porcini is to pair them with other ingredients that overpower or mask the delicate flavor. 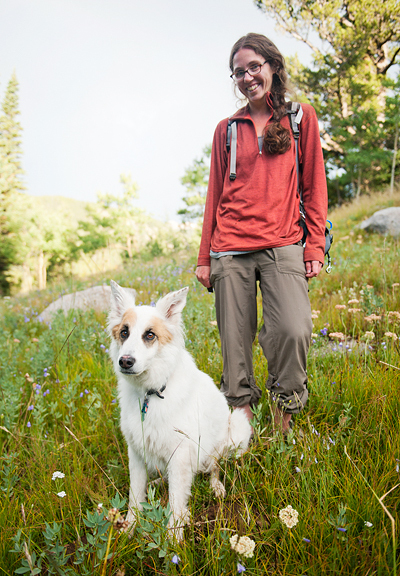 I feel this way because it is a lot of work to hike up in the mountains and spend hours (days?!) searching for these precious piglets only to carry them home (they get heavy when you find a lot) and cook them in a recipe where you can’t taste that they are there. Dried porcini are another beast as they have such a strong concentrated flavor. So I gravitated toward this white lasagne because I knew it would highlight rather than drown out the mushrooms. 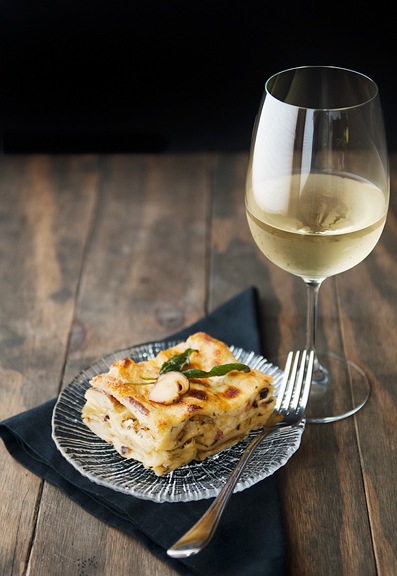 The original recipe starts with a nice béchamel sauce, but in my research I found another porcini lasagne that had prosciutto in the sauce. That stuck with me, because I love prosciutto and I think porcini and prosciutto are good friends. 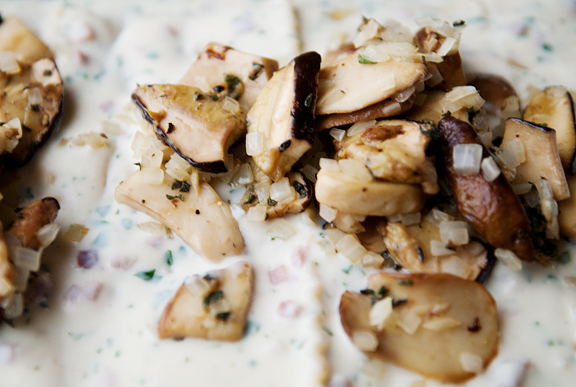 It adds a nice punch of salty and delicious funk that goes hand in hand with the mushrooms. Leave it out if you want a vegetarian version. 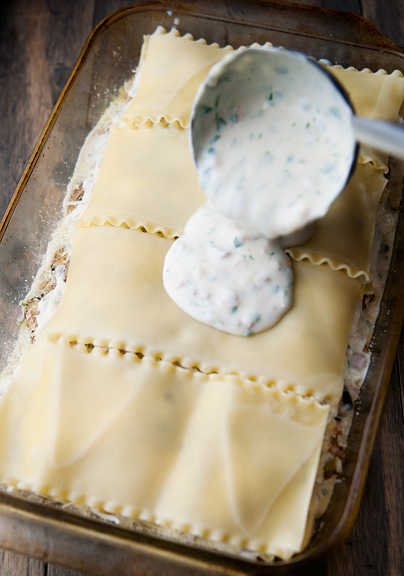 The filling showcases the mushrooms with a few supporting actors: herbs, seasonings, onions. Now the fun part – assembly! I love assembling because it feels a little like an engineering project. The noodles I used were an odd dimension that didn’t really jive with my 9×13-inch baking pan. Essentially, the noodles didn’t cover the entire dish such that the gaps were filled with the béchamel sauce. It was fine, but if I ever make this again I will use different noodles or a different pan to ensure a good fit. 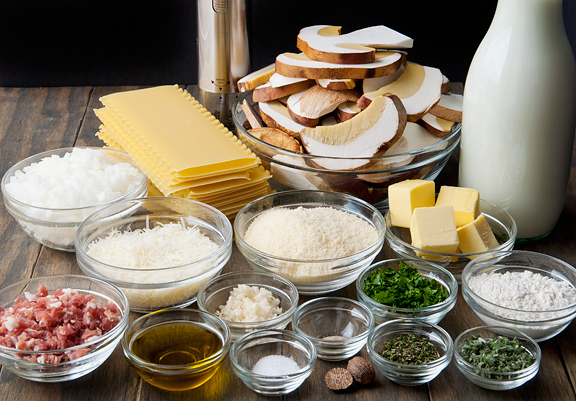 Construction of the lasagne follows the standard noodle-sauce-filling-cheese stratification. Also, I par-cooked my lasagne noodles allowing for more cooking time in the oven. Some folks don’t cook theirs at all and others cook them all the way through. Mine boiled for 4 minutes so they were pliable, but not too soft. When you are done layering, top it all off with a last layer of lasagne noodles. Pour the remaining béchamel over the lasagne. If your pan is quite full, don’t overfill it with the sauce or just make sure there is foil or a baking sheet under the pan in the oven to catch drips. It does bubble up when baking. 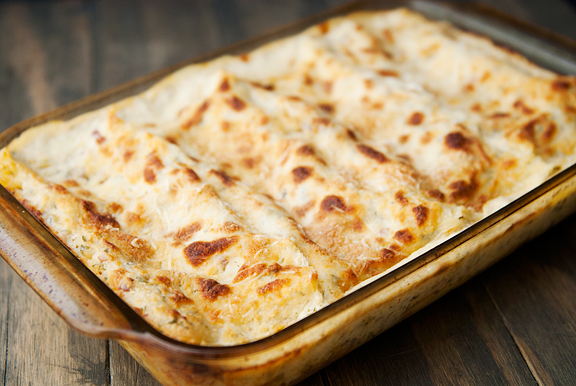 Spread the rest of the cheese over the whole enchilada – er… lasagne. It’s ready for the oven! The smell of the house as this lasagne baked was pure torture. It was gorgeous, golden, and bubbling as I took it out of the oven. Jeremy hovered about it with anticipation after a long day at work. I sliced the porcini rather thick because I wanted that substantial meaty bite of mushroom in my lasagne, and I got it. The creamy sauce and cheeses were a perfect accompaniment to the porcini. Garnished with some fresh sage fried in butter and a little slice of bouchon browned in butter and we were good to go! 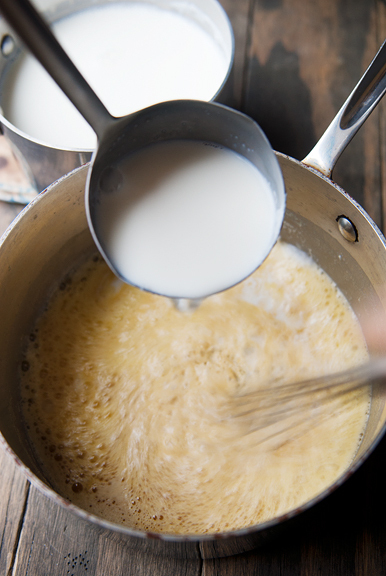 Make the béchamel sauce: Bring the milk to a simmer in a small saucepan, remove from heat and set aside. In a medium saucepan, melt the butter over medium heat. 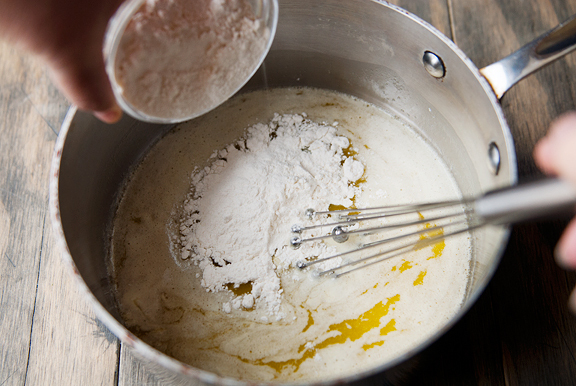 Whisk in the flour until it is incorporated. Continue to whisk until the mixture darkens slightly. Slowly whisk the warm milk into the flour mixture. It will bubble at first, but it will settle down. 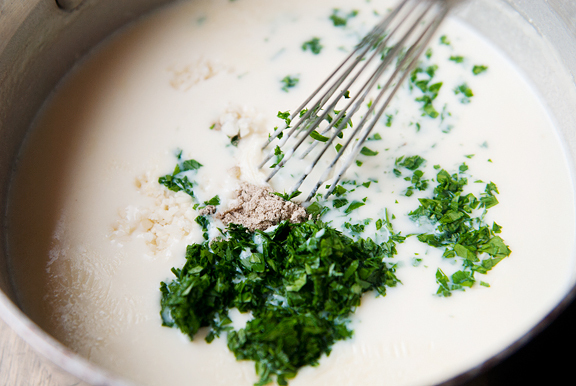 Whisk over medium heat until smooth and slightly thickened. 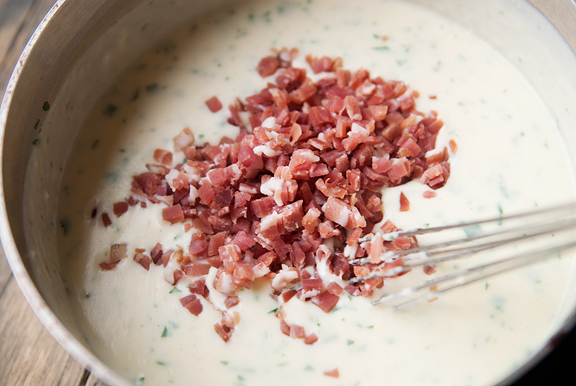 Remove from heat and stir in the garlic, parsley, salt, white pepper, nutmeg, and prosciutto (optional). 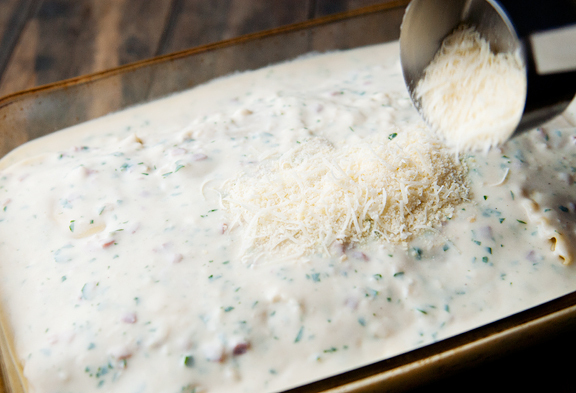 Cover the béchamel sauce and set it aside. The sauce can be made a day ahead of time. 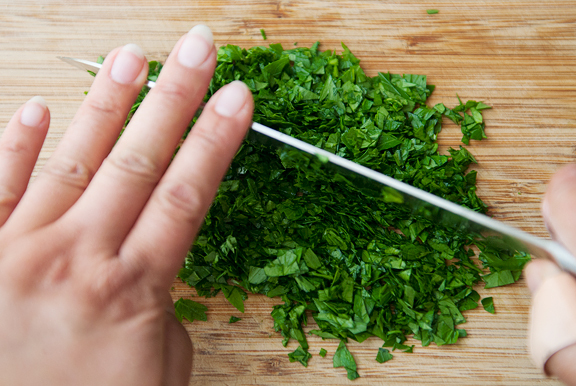 Make the filling: Heat a tablespoon of olive oil over medium heat in a sauté pan. 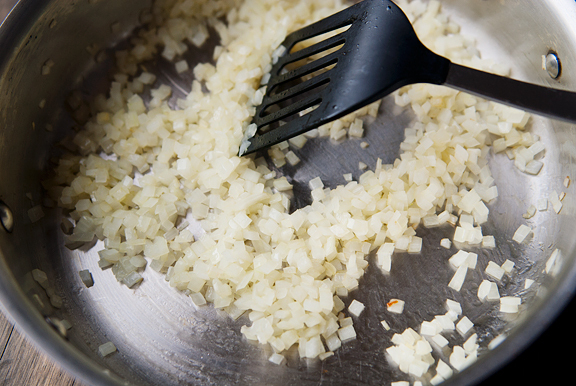 Sauté the onions until they are soft and translucent. Remove the onions to a bowl. Heat 2 tablespoons of olive oil in the same sauté pan over medium heat. 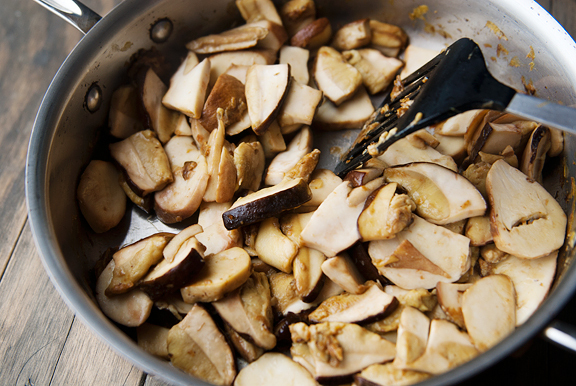 Sauté the mushrooms until they are golden and tender. Season with salt and pepper to taste. Stir in the cooked onions, thyme, and sage and let cook for another minute. Remove the pan from the heat. 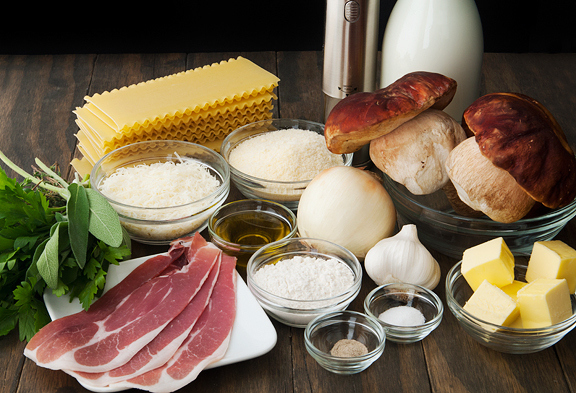 Assemble and bake the lasagne: Preheat oven to 375°F. 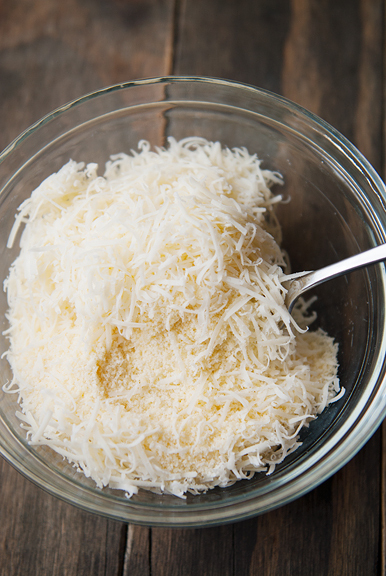 Mix the Parmesan and Asiago cheeses in a bowl. Grease a 9×13-inch baking dish. Spoon about 3 tablepoons of the béchamel sauce into the baking dish. Place one layer of lasagne noodles in the baking pan to cover as much of the pan area as possible. Ladle 1/2 cup of the béchamel sauce over the noodles. 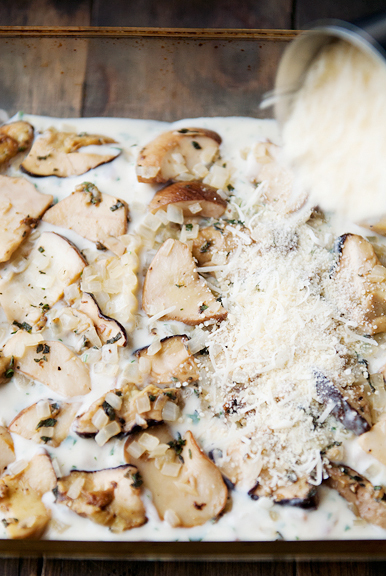 Layer a third of the mushroom filling over the sauce and top the mushrooms with 1/3 cup of the grated cheese mixture. Repeat the process twice more starting with the noodle layer. Finish the lasagne with one last layer of noodles. 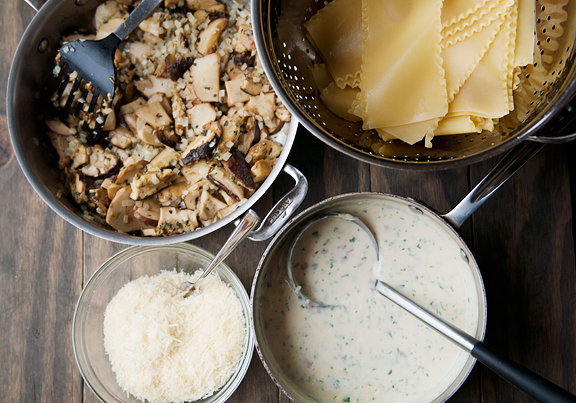 Top the noodles with the remaining béchamel sauce and then sprinkle the rest of the cheeses over the sauce. Bake 45 minutes until the lasagne is lightly browned around the edges. Let sit 15 minutes before serving. This looks amazeballs. I’m making this this weekend. Thanks for sharing! I literally said “Wow” out loud when I saw that double rainbow picture. I have never seen anything like that. Most of our rainbows come late in the day. The lasagna looks awesome too. Looks absolutely incredible. You are an inspirational cook and make everything look so pretty. I love finding mushrooms. For me, on the east coast, it’s morels – a spring treat. 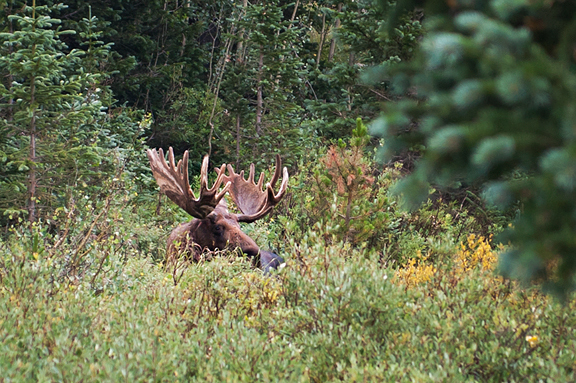 It would be awesome to forage my own porcinis – you are fortunate. OMG this looks terrific! 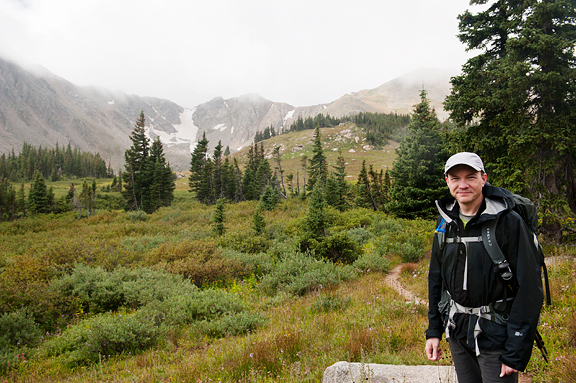 I envy you – what gorgeous scenery you are able to view on a daily basis. I can only dream of it. Wow…every single food picture made my mouth water today! I can only imagine how delicious this must be. Nice to know that you cut the worms out!! Love the scenery & people shots too. Your photos seem to be extra gorgeous lately. to get that slice you had to wait … pure torture. Lovely photos and recipe. Amazing post all round. I must say I had no Idea porcini grew that BIG. In perspective to your milk bottle… they look huge!!! 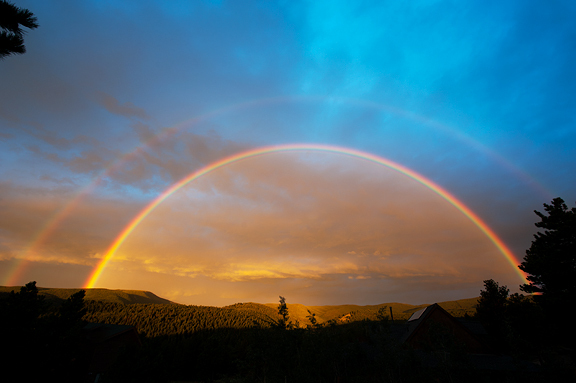 I don’t know which is more beautiful…your photo of the sunrise rainbow or the lasagna!! This post was inspiring on so many levels. Every photograph ~ from the rainbows, to the wildflowers, to the “piggies” and of course the sumptuous lasagne ~ somehow calmed my soul & elevated my mood. Big E-Hugs to you, Jen, for your many gifts to us all. As soon as it cools down in the Northeast, I’ll have to buy a mix of mushrooms and get on the lasagna train. I don’t normally like lasagne but I think I would love eating this! It’s hard to find porcini mushrooms where I live. Do you have a suggestion for a substitute? This looks so good, I’d love to make a lasagna that comes as close as possible to this one. Do Porcini grow in Minnesota? This looks delish! Love the double rainbow! I am so, so jealous of your porcini haul, and this lasagna looks damn tasty. I’m seriously drooling. 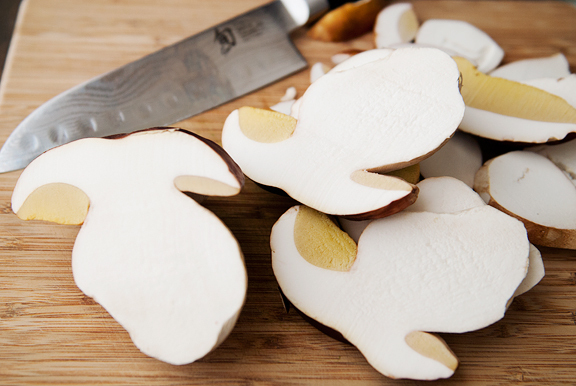 Kath – you can sub other mushrooms if you can’t get porcini! 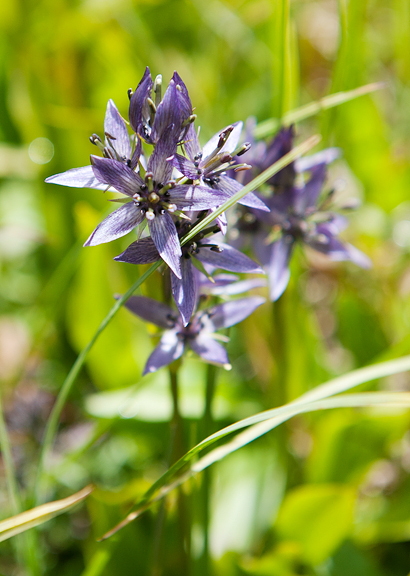 JaneM – it’s one of the reasons we chose to live here, for sure! marissa – ha ha, we had far too many things going on to get to it, but I’m pretty sure it would have been amazing straight out of the oven. Jan – oh, porcini can get far far bigger than that! JamieK – ha ha! Both in different ways? Christine – perhaps, but I will still choose to brush or wipe porcini. They get quite slimy when wet and that makes them more difficult to handle when slicing. 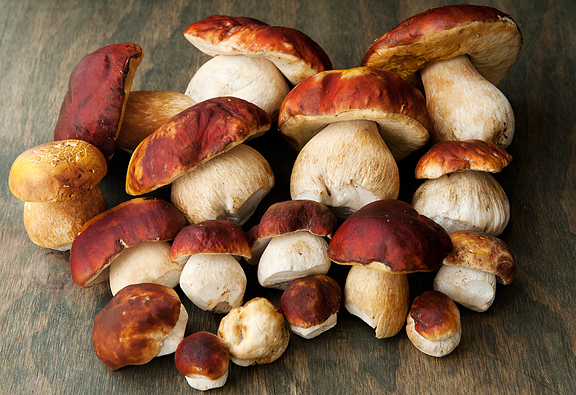 Melissa – you can use any fresh mushroom as a substitute. Shari Q – I don’t know. I somehow doubt it. But you can use a different fresh mushroom! Sin of sins! I wanted to chomp down on my screen when I saw the baked lasagna. The taste must be a pure delight. I’ll bookmark this and come back to it when I score the end of my dental nightmare. Just reading the ingredients made me feverishly hungry. Jen, what a sublime looking dish! I just want you to know how MUCH I thoroughly enjoy all aspects of your blog. Your awesomely unique humor and writing, your patient staging and mis en place, recipes that are inspirational but also realistic for a home cook, and most especially the stunning nature photography. I like to wait a few weeks or so and then binge on your website. I’ve been dreaming of finding my way to living in CO for several years now, and the photos that you take from weekend trips are such happy reminders of what is waiting for me! It took me a little longer than I planned to make, but it was, indeed, amazeballs. Thanks again.